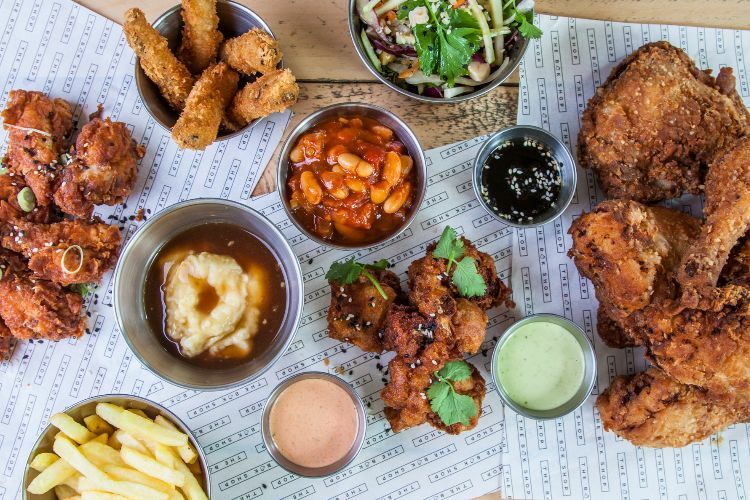 Fried chicken is one of those American imports to these shores that the people have gone wild for. Until now, Brighton has been at the mercy of the large multinational chain restaurants or those that you would only consider after one or two grown up drinks. Things have changed, however, with the opening of Bok Shop on East Street. 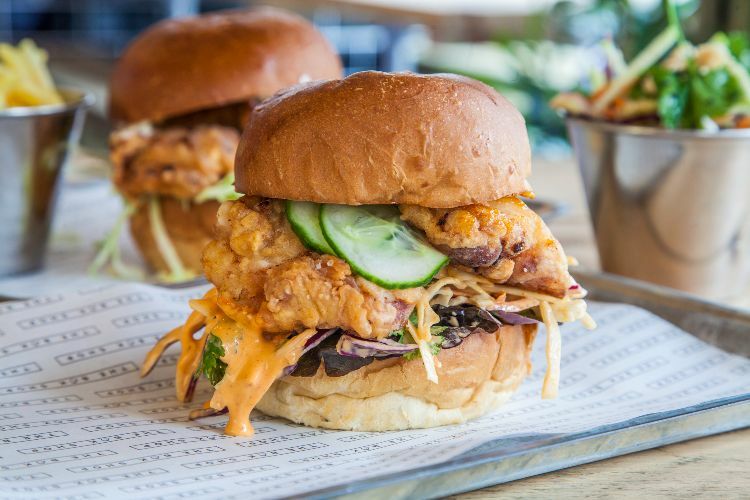 This gourmet chicken shop has been inspired by the many quality chicken shops of London, where owners Jamie, Howard and Matthew grew up and discovered a love for all things fried. Having moved to Brighton, they saw a gap in the market for a quality fried chicken shop and so decided to open their own. 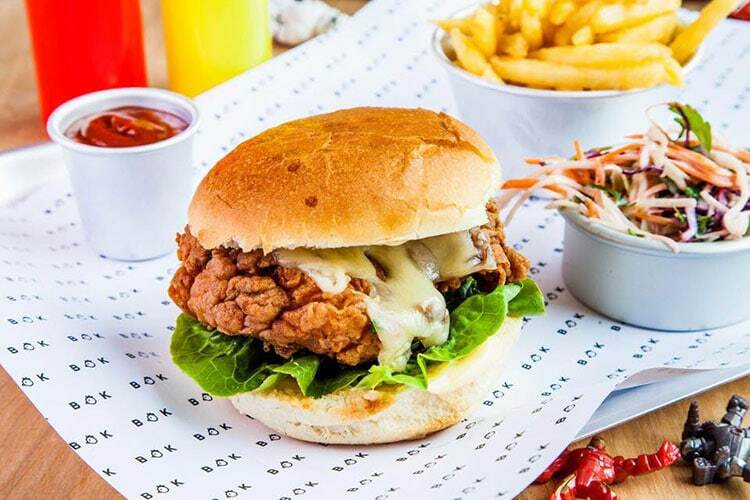 The Bok Shop has simple goals; to bring quality fried chicken to the people of Brighton and Hove. They have worked hard to develop a simple menu of chicken based dishes, many of which have vegan and vegetarian alternatives. 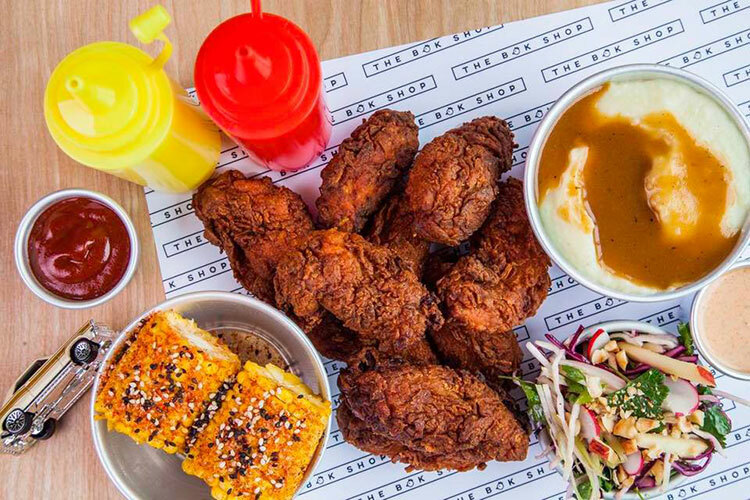 Taking classic fried chicken and turning it up to a new level has taken months of development, but the guys are confident that they have brought a quality product to market. Match this with the stylish design led restaurant and the Bok Shop certainly looks every part the gourmet fast food option it aims to be. 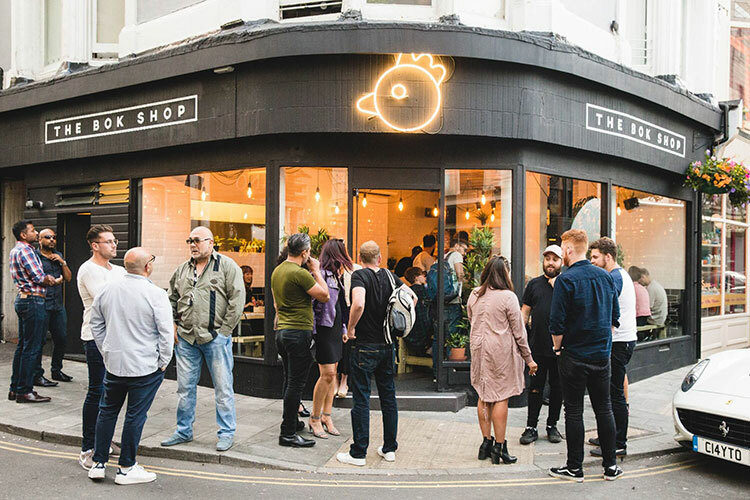 East Street is one of Brighton’s best foodie hotspots with a number of great restaurants and food and drink retailers taking up residence here. Bok Shop have a commanding corner spot which takes advantage of the closed road at weekends with the addition of some fantastic outdoor seating. 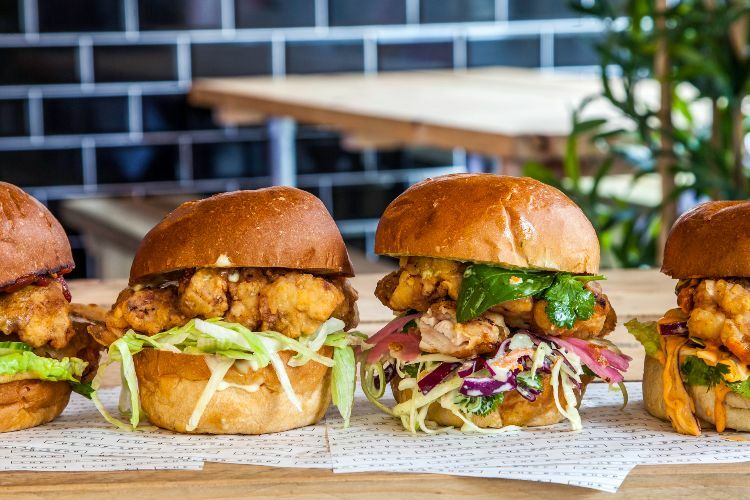 The superb central location makes it easy for the people of Brighton to experience their gourmet goodies, and as they are open from 12 noon to 11 pm there is plenty of opportunity to get your chicken fix. Bok Shop is a fun and personal experience, with the owners on hand to guide your choices and go through your order with you. The menus double up as colouring books to keep children young and old amused, and you even get Bok Shop branded crayons. 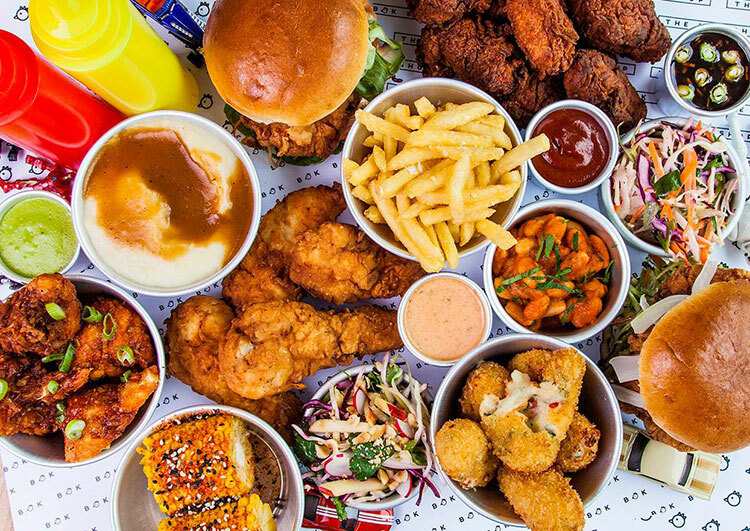 Their enthusiasm and passion for fried chicken is plain to see, and once you try it for yourself we are confident that you will join them. Visited twice in May 2018 and was very happy with the food and the service. However, our most recent visit on August Bank Holiday was a complete disaster which left us with little choice but to drive to Worthing to eat at a place that we knew could accommodate us. We are a family of food allergies and intolerances, we must avoid all dairy including eggs, celery and mustard, therefore we plan ahead where we will eat. 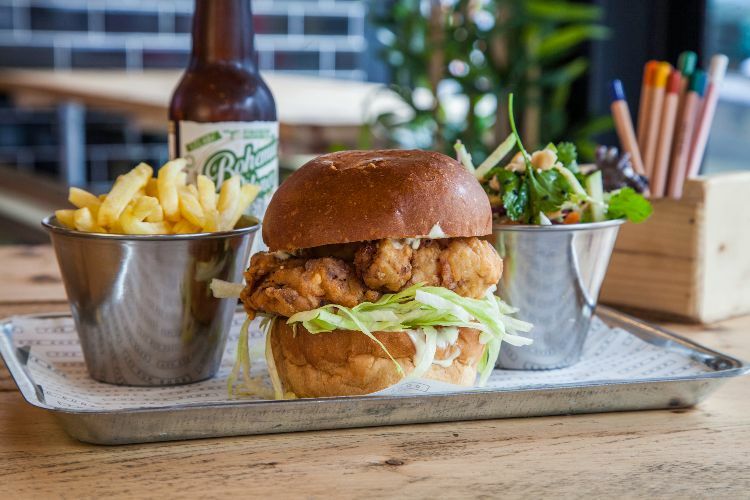 On our August visit we were told that the chicken used for the burger was marinaded in buttermilk even though this was not stated on the current menu. The menu was exactly the same as our May visit. Shame there isn’t somewhere to report this kind of inconsistency within the food service industry to.